The start of a new year is also a great time to start making healthier choices for the whole family. When it comes to kids, it can be hard to get picky eaters to also eat healthy. By packing your child a healthy lunch, you’re helping them get on the right path for healthy eating later in life. 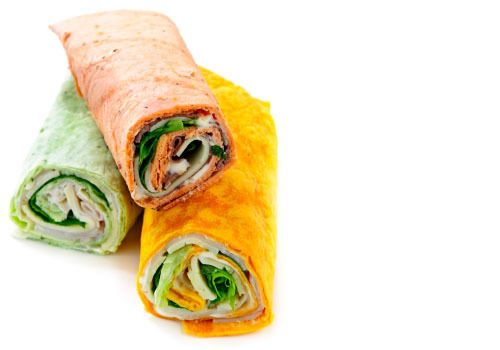 Wrap sandwiches are a fun alternative to the classic sandwich, especially for younger children. Over the last few years, wraps have turned up in every food venue with virtually every combination inside. There are so many wrap flavors to choose from now – it makes eating lunch more exciting. Why not come up with your own signature combination with the kids? You just may have yourself a winner!